Encryption for the backed up image file can help users to better ensure the safety of data and files. 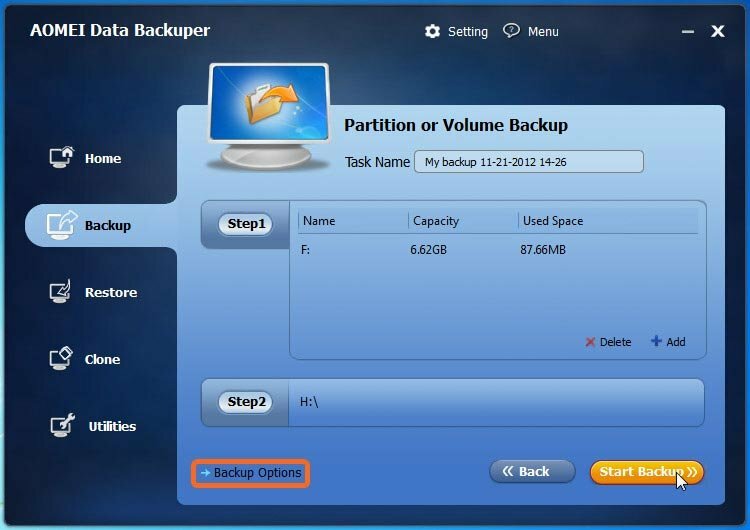 AOMEI Backupper also provides this option during the process of backup. In cryptography, encryption refers to encode messages or information so that it can not be accessed by hackers and unauthorized party. Encryption, by itself, can protect the confidentiality of messages. And during the process of disk/partition/volume backup, the added assisting feature of "encryption" can help to ensure the safety of the backed up image file better, because only the ones who know the password can restore the backed up image file while other can not. For example, if you have backed up the confidential data about your company cooperation item to an image file, the encryption for the backup can ensure that only the ones who know the password can restore it. Thus, there is no need for you to worry that the information would leak out. AOMEI Backupper also provides this function to assist the users in data protection. When backing up the disk/partition, there will be a "Backup Options" item, you can set the password easily by clicking this option. First, select a backup type under the "Backup" tab, here set "Partition Backup" as an example. 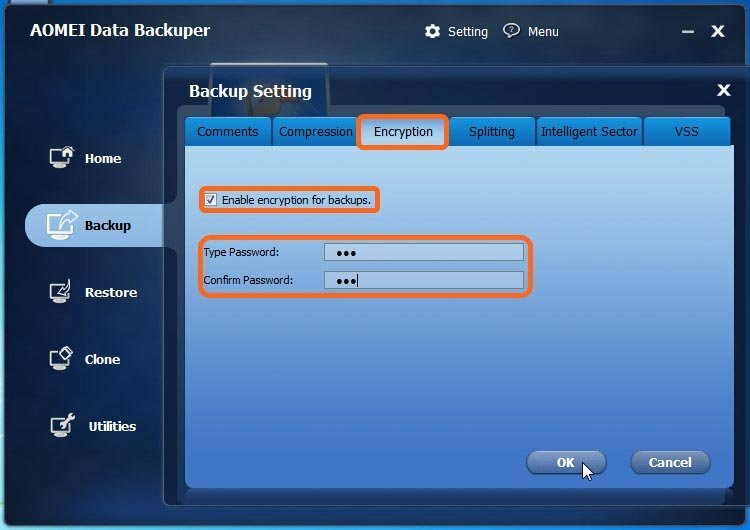 Then, after setting the source and the destination partition, you can encrypt the image file by clicking the "Backup Options" on the same interface. Third, you can set a password by ticking the "Enable encryption for backups" option and inputting the password. And then click "OK".